Speedy already features delicious meats for all your summer grilling needs. But what if you want to bring the flavor to the next level, you want to add the extra wow factor? Speedy has you covered there as well, with our excellent selection of gourmet sauces, including Lillie’s Q, Dinosaur BBQ, and Pork and Mindy’s! 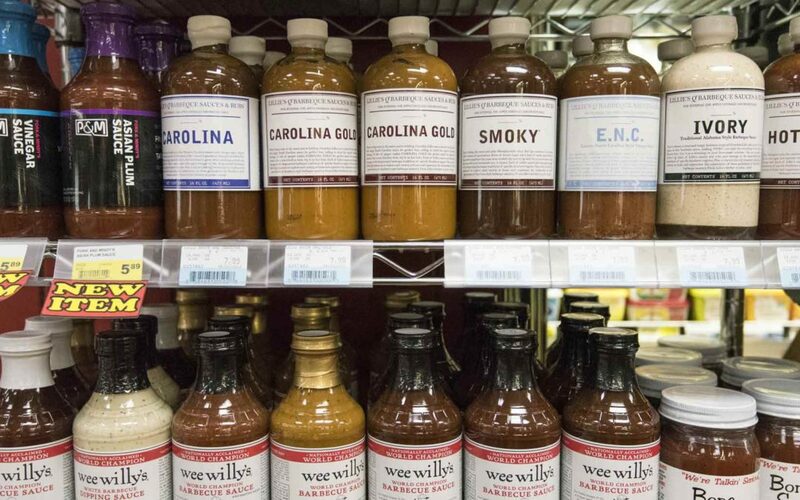 Lillie’s Q features sauces inspired by BBQ from around the country: vinegary Carolina, Mustardy Carolina Gold, sweet and smokey Smoky, and Alabama inspired white dipping sauce! Putting Carolina Gold on your burger is the best sweet and tangy ketchup and mustard combination your mouth has ever experienced. Dinosaur BBQ features their signature Sensuous Slatherin’ Sauce, and an out-of-this-world Garlic Honey Mustard Sauce, that pairs perfectly with pulled pork sandwiches. Pork and Mindy’s is your go-to sauce when you want something unique and delicious. Be sure to check out the sweet sauce for everyday use, or for those looking for something with a little bit more bite, there is the Apricot Habanero. To me, their best sauce is the Asian Plum, which I love to pair with ribs, which evokes the memory of my favorite stir-fry. All of these sauces are free of high fructose corn syrup and feature ingredients you can pronounce and recognize. Some think these sauces can only be used during the grilling season, but they are so much more than that. They are perfect dipping french fries in, or at your next party for mini meatballs or cocktail weenies. They would even be great during the winter (we are not far away) on a hot turkey or beef sandwich. Come to Speedy and try your new favorite today!